All Bad Things Have Come To An End: Motley Conclude Illustrious 34-Year Career at Sold Out Show in L.A.
NEW YORK, NY, January 5, 2016 – Legendary rock icons, MÖTLEY CRÜE, completed their thirty-five-year touring career as a band, on New Year’s Eve, with a spectacular, sold-out show at Staples Center in their hometown of Los Angeles, where the started out in 1981. The show also marked the end of their two-year Final Tour, which saw them perform across five continents (North America, South America, Europe, Australia and Asia) for a total of more than 164 shows in 72 markets grossing $100 million. Known for their over-the-top production, MÖTLEY CRÜE did not disappoint on New Year’s Eve: from massive, cutting edge pyro, including Nikki Sixx’s bass guitar spitting fire over 30ft in the air, and Tommy Lee’s “Crüecifly” drum roller coaster, amongst many other spectacular elements. While the “Crüecifly” experienced a technical hiccup halfway through his drum solo, perhaps signifying the coaster too had also run it’s course, it didn’t derail the band from giving it their all to their devoted fans cheering them on all night through. Lead singer, Vince Neil, delivered an emotional, teary-eyed ‘thank you’ speech to the audience, while the band supplied next-level, high-octane fueled energy, ringing in the New Year on stage with thousands of balloons raining down on the crowd. The band’s grand finale of the show included a blow-out performance of their hit single, “Kickstart My Heart“ with Nikki Sixx and Vince Neil floating above the audience in far reaching “cherry-pickers”. Leaving fans in tears, the band finished up the show with an emotional encore rendition of “Home Sweet Home” from the second stage riser in the center of the audience. The live performances may be over, but their legacy will live on for generations to come. To celebrate their mark in rock music’s history and in honor of their devoted fans, the band has confirmed the release of a full length concert film of the Final performance, which will also include exclusive interviews and behind-the-scenes footage of the last week of the tour, to be released later in 2016. Produced and distributed by Live Alliance, Christian Lamb directed the concert portion of the film, while Jeff Tremaine, creator of the Jackass series, directed the documentary segment. The film will premiere in theaters worldwide, one-night only, followed by Pay Per View in all cable/satellite/digital formats, with a DVD set to be released later on. Fans can check out an exclusive sneak peek of the film on Billboard today, here. The live performances may be over, but their legacy will live on for generations to come. To celebrate their mark in rock music’s history and in honor of their devoted fans, the band has confirmed the release of a full length concert film of the Final performance, which will also include exclusive interviews and behind-the-scenes footage of the last week of the tour, to be released later in 2016. Produced and distributed by Live Alliance, Christian Lamb directed the concert portion of the film, while Jeff Tremaine, creator of the Jackass series, directed the documentary segment. The film will premiere in theaters worldwide, one-night only, followed by Pay Per View in all cable/satellite/digital formats, with a DVD set to be released later on. Fans can check out an exclusive sneak peek of the film on Billboard today. In addition to the live-concert film, MÖTLEY CRÜE are planning to release a major box-set of music down the line, as well as The Dirt feature film based on the band’s best-selling 2001 autobiography, also to be directed by Tremaine, in the near future. While the Final Tour has completed, and the flaming Pentagram has been blown out, The Dirt movie will include pieces of this monumental band’s career in full to live on forever. To receive more information and updates on the film’s release please head to http://motleycrue.fanbridge.com/ or the footer below to sign up for the mailing list. For personal farewell messages to the band from rock royalty including Alice Cooper, Judas Priest, Anthrax, Guns N’ Roses, Slipknot, and many more, inspired by MÖTLEY CRÜE, to rise up and follow their dreams. Check out the entire compilation of “thank you” videos HERE. All bad things must come to an end, but the legacy lives on. Hailing from Los Angeles, CA, the quartet—Vince Neil (vocals), Mick Mars (guitars), Nikki Sixx (bass) and Tommy Lee (drums)—has commandeered the rock pantheon for over 30 years. In that time, they have accumulated worldwide album sales exceeding 80 million, seven platinum or multi-platinum albums, 22 Top 40 mainstream rock hits, six Top 20 pop singles, a star on the Hollywood Walk of Fame, three Grammy nominations, four New York Times bestsellers (including the band’s biography, THE DIRT) and countless sold out tours across the globe, playing to millions of fans. Motley Crue was the first rock band in history to have completed an epic sold-out Las Vegas residency at The Joint at Hard Rock Hotel & Casino. 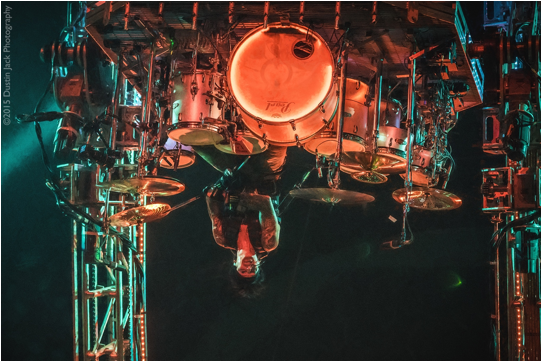 The band continues to remain on the forefront of entertainment reinventing themselves via not only their music but also their mind blowing live shows featuring never seen before elements, such as Tommy Lee’s 360 drum roller coaster. Motley Crue was featured in KIA MOTORS’ award winning 2012 Super Bowl commercial. Having recently produced the most successful concert pay per view live event of all time, Grateful Dead’s Fare Thee Well summer reunion shows, Live Alliance is the leader in live event distribution across all platforms, including theaters, cable, satellite and digital PPV distribution and linear broadcasting. Live Alliance provides top tier video production and distribution for concert films for broadcast and online live events. Working in the live concert film space for 10 years, the founders of Live Alliance were the team behind one of the very first companies to stream large scale events over the internet. Live Alliance is a pioneer in the industry and has grown to provide broadcast and technology for hundreds of clients – working with some of the biggest artists and platforms throughout the world. Eleven Seven Music Group is one of the world's leading independent music companies. Founded in 2006 by Tenth Street Entertainment CEO Allen Kovac, the company is the global home for artists including Mötley Crüe, Papa Roach, Nothing More, Escape The Fate, Sixx:A.M., and HELLYEAH as well as Five Finger Death Punch outside of the U.S. In 2014, the company vaulted five artists to the Mediabase Active Rock year-end radio chart and multiple acts to the Billboard year-end charts including Mainstream Rock Songs, Hard Rock Albums, and Rock Airplay Songs. Among its many accolades, Eleven Seven Music received the title of Billboard’s “Rock Label of the Year” in 2010, was named FMQB’s “Rock Label of the Year” in 2008, enjoyed RIAA double platinum success with Buckcherry’s 15 in 2006, and achieved a Top 5 debut for Mötley Crüe’s Saints of Los Angeles. With a staff of dedicated and devoted trailblazers, the label supports its roster with a range of integrated services including marketing, promotion, publicity, sales, digital, licensing, and touring. Eleven Seven Music Group distributes two sub-labels—the alternative and indie-leaning Five Seven [Dirty Heads, Dark Waves, Nico Vega] and emerging hard rock-centric Better Noise Records [Deuce, From Ashes To New, Diamante, and As Lions]. Based in New York City, Los Angeles, and London, the labels are distributed through RED/Sony in the U.S., ADA/Warner in Europe, Sony in Canada, Australia, Southeast Asia, and South America, and Universal in Japan. As some of you may have heard, I sustained an injury of severe inflammation to my left wrist and was unable to play the show the other night in Buffalo. I’m so sorry to say that the injury has not improved and it is unlikely I will be able to perform again tonight in Bridgeport. Regardless, the show must go on and Alice Cooper's amazing drummer, Glen Sobel will be filling in for me on drums. I will, however, come on stage to see everyone and also to play the piano with my good hand for the finale on Home Sweet Home. I am told this injury is temporary and that I will be back on stage very shortly. I'm doing everything in my power to speed up the healing process, I hate not being able to play for you guys!! We're coming to Anchorage! Motley Crue will play the Alaska Airlines Center July 16 + 17. Pre-sale tickets will be available to members of the Alaska Airlines Center "VIP Cyber Club" from 10 a.m.-10 p.m. Thursday, May 14 (online only). Tickets for the general public will begin at 10 a.m. Friday, May 15. Ticket prices start at $69 and will be available AlaskaAirlinesCenter.com or at the Alaska Airlines Center box office, 3550 Providence Drive and 907-786-1562. New York, NY (July 7, 2014) – Mötley Crüe’s Final Tour, presented by the Dodge brand and produced by Live Nation kicked off in Grand Rapids at the Van Andel Arena on July 2, with the band’s biggest and most elaborate production to date, among many other surprises. The show takes fans through the infamous years of the band with their biggest hits like "Kickstart My Heart," "Dr Feelgood," and "Home Sweet Home", as well as some fan selected surprises featured on the set list. "Knowing that we're on what is Mötley Crüe's Final Tour is emotional for fans and band alike but we want this tour to be a celebration of 3+ decades of the band and our music and we're here to give our very best and push it over the edge one more time. We've always done things our own way in Mötley Crüe and this will be no exception. Going out on top allows us to do what we always set out to do and that is to leave our legacy intact", explains Nikki Sixx (bass). During their 4th of July stop at Milwaukee’s Summerfest, the band celebrated Independence Day with America’s finest, meeting with military veterans to give back and honor those protecting freedom. Fans can also look forward to Mötley Crüe’s very special guest while out on the Final Tour, Rock N Roll Hall of Famer and icon Alice Cooper. Audiences are in for a night they won’t forget as Alice and his band deliver an intense and energy-packed set featuring his many hits and legendary theatrics. Jeff Tremaine (Bad Grandpa) is signed on to direct The Dirt film, slated to debut in theaters globally in 2015. LOS ANGELES (Feb. 24 2014) – Just days after tickets for iconic rock ‘n’ roll band MÖTLEY CRÜE’s The Final Tour went on sale, nine shows sold out, with many more headed in that direction. The band added on dates in Detroit, Spokane, Hollywood, FL and an Oct. 28th date at Madison Square Garden in New York, NY, which will be MOTLEY CRUE’s last NYC show ever. Tickets for the Madison Square Garden show will go on sale Saturday, March 1st at 10:00 a.m. local time. MÖTLEY CRÜE announced The Final Tour and the band’s ultimate retirement, solidified when the band signed a formal Cessation Of Touring Agreement, effective at the end of 2015, in front of global media in Los Angeles on Jan. 28. Celebrating the announcement of The Final Tour, the band performed on ABC’s "Jimmy Kimmel Live" later that night and appeared on "CBS This Morning" on Jan. 29. The Final Tour, presented by Dodge and produced by Live Nation, will kick off in North America on July 2 in Grand Rapids, Mich. and reach 73 markets before hitting international territories in 2015. To Live Nation, MÖTLEY CRÜE tours are not only box office successes but artistically have set the bar for production and entertainment value. "There's no arguing that Mötley Crüe have been and always will be the definitive bad boys of rock ’n’ roll," says Rick Franks, Live Nation's regional president of North America concerts. "But behind all those notorious stories is a legendary rock band that has revolutionized heavy metal and created some of the biggest hits in music history. They are a hugely successful global brand and a touring powerhouse. Everyone at Live Nation has a tremendous amount of respect for these hard-working and extremely talented gentlemen. The music industry will never have another Mötley Crüe." The Dodge Brothers were a notorious duo, so it seemed only natural to partner with the World’s Most Notorious Rock Band. "Whenever I talk to people about Mötley Crüe, the common thread is how cool and relevant the band remains, even after 33 years," said Tim Kuniskis, president and CEO, Dodge Brand, Chrysler Group LLC. "This irreverent 'staying power' resonates deeply with the Dodge brand as we turn the corner on our 100-year anniversary. What better way to celebrate the band's final tour and the 25th anniversary of Kickstart My Heart than to do it together?" Fans can look forward to very special guest ALICE COOPER joining MÖTLEY CRÜE for an incredible package; Alice invented the rock ‘n’ roll genre and MÖTLEY CRÜE put steroids in it! "Real hard rock bands are hard to find these days," said Alice. "Mötley has always gone on stage with one attitude and that's to blow the audience away. That's exactly how we do it. Putting Mötley Crüe and Alice Cooper together is going to be just what this summer really NEEDS. We're going to go out there and tear it up, and I can't wait to see Mötley on stage. Mötley Crüe and Alice Cooper—a match made in...Armageddon?" All tickets and packages can be obtained via Ticketmaster.com, LiveNation.com, or via MotleyVIP.com. About MÖTLEY CRÜE Hailing from Los Angeles, CA, the quartet—Vince Neil (vocals), Mick Mars (guitars), Nikki Sixx (bass) and Tommy Lee (drums)—has commandeered the rock pantheon for over 30 years. In that time, they have accumulated worldwide album sales exceeding 80 million, seven platinum or multi-platinum albums, 22 Top 40 mainstream rock hits, six Top 20 pop singles, a star on the Hollywood Walk of Fame, three Grammy nominations, four New York Times bestsellers (including the band’s biography, THE DIRT) and countless sold out tours across the globe, playing to millions of fans. Motley Crue was the first rock band in history to have completed an epic sold-out Las Vegas residency at The Joint at Hard Rock Hotel & Casino. The band continues to remain on the forefront of entertainment reinventing themselves via not only their music but also their mind blowing live shows featuring never seen before elements, such as Tommy Lee’s 360 drum roller coaster. Motley Crue was featured in KIA MOTORS’ award winning 2012 Super Bowl commercial. About Dodge Brand The Dodge brand is tearing into its centennial year with a keen eye focused on the future and a desire to create vehicles customers can’t wait to drive and are proud to park in their driveways. With 100 years of history, Dodge is building on the technological advancements of the ‘30s and ‘40s, design evolution of the ‘50s, the racing heritage of the ‘60s, the horsepower of the ‘70s, the efficiency of the ‘80s and unbelievable styling of the ‘90s as it paves the road to its future. New for 2014, the Dodge Durango “is kind of a big deal,” with a new eight-speed transmission that delivers up to 25 miles per gallon on the highway, a new 8.4-inch Uconnect Touch infotainment center and best-in-class power, towing and fuel economy, in addition to its class-exclusive technology. The new Durango joins the new 2014 Dodge Dart with its new 2.4-liter Tigershark engine, as well as the 2014 Avenger, Challenger, Charger, Journey and a 30th Anniversary Grand Caravan. This 2014 Dodge lineup includes five Insurance Institute for Highway Safety (IIHS) Top Safety picks and Top Safety Pick +, five vehicles with best-in-class power, seven vehicles that deliver 25 miles per gallon (mpg) or higher, three vehicles that deliver 31 mpg or higher and three vehicles that offer seating for seven. About Alice Cooper Alice Cooper is a true rock icon, having pioneered the use of theatrics and shocking images onstage in concerts from the earliest days of the original band of the same name. Since going solo, he has continued to produce elaborate stage shows providing fans with both shock and rock of the highest caliber. Inducted into the Rock N Roll Hall of Fame in 2011, Alice has toured and recorded continuously, with his most recent album being Welcome 2 My Nightmare. Recorded with longtime collaborator Bob Ezrin, who produced the original ground breaking, multi-platinum Welcome To My Nightmare album in 1975, the album picks up right where they left off, with Alice trapped in his own warped mind. Alice's catalog of hits and anthems, including "I'm Eighteen," "No More Mr Nice Guy," School's Out," "Elected," "Poison," and others, are included in his current "Raise The Dead" show, which also features his musical tribute to his fallen friends John Lennon, Keith Moon, Jim Morrison and Jimi Hendrix. Currently, Alice's touring band features the three guitar attack of Orianthi, Tommy Henriksen and Ryan Roxie, backed by bassist Chuck Garric and drummer Glen Sobel. Additionally, "Nights With Alice Cooper," Alice’s nightly radio show, is available in nearly 100 cities in the USA, Canada, Australia, and the UK. The show features his favorite classic rock songs along with his insider anecdotes about many of the artists. About Live Nation Entertainment Live Nation Entertainment (NYSE: LYV) is the world’s leading live entertainment company comprised of four market leaders: Ticketmaster, Live Nation Concerts, Artist Nation Management and Live Nation Media/Sponsorship. For additional information, visit www.livenationentertainment.com. "Given the lives enjoyed and endured by Sunset Strip hair metal veterans Mötley Crüe, it was always going to take something unusual to signal the demise of the band. We really didn’t see the Crüe ending their near 35-year career with a formally written contract though. But that’s exactly what they did at last month’s glitzy LA press conference, where they announced the Final Tour, a run of shows set to stretch from this summer up to the end of 2015. And, just to pre-empt all those questions about reunions, the band signed a cessation of touring agreement that forbids them from ever going back out on tour as Mötley Crüe. Musicradar spoke to bass player/band leader Nikki Sixx about calling it a day, staying away and regrets..."
Mick Mars talks "The Final Tour" with ARTISTdirect! "Mötley Crüe will spend the next two years on their Final Tour. They even signed a legally binding contract to prove that they mean business. They are going out on top. Do not expect any half-assed, three-fourths reunion tours in two or three years. We grabbed some time with guitarist Mick Mars to find out the skinny." Check out the full interview here!